Drug control intersects with much of the 2030 Agenda for Sustainable Development and the UN Member State pledge to leave no one behind. In line with the 2030 Agenda, the UNDP Strategic Plan 2018-2021 and the HIV, Health and Development Strategy 2016-2021: Connecting the Dots, the International Guidelines on Human Rights and Drug Policy provide a comprehensive set of international legal standards for placing human dignity and sustainable development at the centre of Member State responses to illicit drug economies. The Institute for International and Comparative Law in Africa (ICLA) is a research institute located in the Faculty of Law of the University of Pretoria. The ICLA was established at the beginning of 2011 and is located in a beautifully renovated house with wooden floors next to the Law Building. 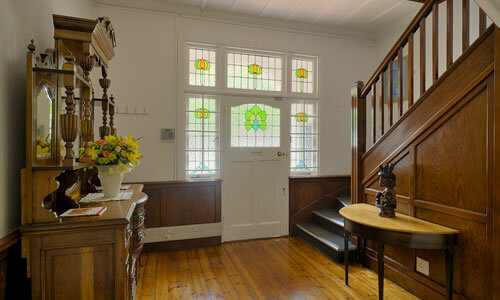 The Institute houses an extensive collection of antique furniture and art and also serves as the Christo Coetzee museum. ICLA houses staff members from various departments in the Faculty of Law, as well as visitors and post-graduate students. A total of 32 doctoral students are currently registered with ICLA staff members and 36 have completed their doctoral studies. The main focus of ICLA is on international and domestic law in Africa, but it also has a broader focus on international law beyond the borders of the continent.